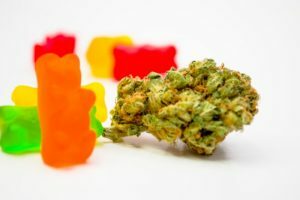 Weekend Unlimited Inc. has reached an exclusive deal in which 1 million Canna Candys gummies will be distributed each month in several regions throughout the U.S.
“The agreement with Infinity One LLC to distribute Canna Candys products will begin with a rollout of 1 million gummies per month, with additional SKUs to follow beyond candies and gummies,” reports Weekend Unlimited, which aggregates and scales small to medium brands, primarily in the categories of flower, extracts and edibles. “The distribution agreement is for one year, with options to renew,” notes the company statement. Having received an initial order of US$350,000, Weekend Unlimited’s exclusive distribution deal will see Infinity One introduce the products beyond California into the U.S. Northeast, Midwest and Southeast regions. The first order is for Canna Candys, five mg, 99.6 percent hemp oil extract (no THC), mixed fruit gummies in gummy packs containing 20 servings, says company president and CEO Paul Chu. The agreement “represents the first of many deals to expand into new markets with our products,” Chu notes. As a master dealer for Weekend Unlimited, Infinity One’s first month’s allotment of 1 million pieces of fruit gummies “will be distributed through our sales channels and distribution network beginning in the Northeast, Midwest and Southeast,” says company president Rae Kim. Infinity One “will focus on sales through supermarket chains, pharmacies and convenience stores,” the statement adds.